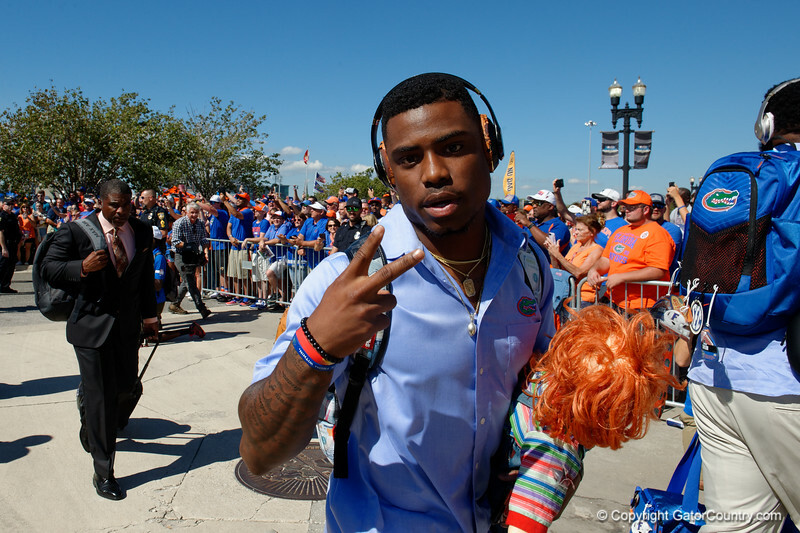 University of Florida Gators defensive back Chauncey Gardner, Jr. carryin the chucky doll as the Gators walk into EverBank Field for an SEC rivalry game against the University of Georgia Bulldogs in Jacksonville, Florida. October 28th, 2017. Gator Country photo by David Bowie.